Tomorrow my beautiful daughter bridges from 6th to 7th grade. This is truly an emotional crossing for any parent but I think it becomes more significant when you consider that the doctors didn’t think she would live past the age of 5. She was around 18 months old when I first heard that news and I had no idea if she would celebrate her 2nd birthday, let alone go to Kindergarten. It hasn’t been a smooth medical journey and she’s missed a lot of school along the way and even had to do an online academy for a couple of years. Thankfully she’s bright and school is easy for her even if she does hide that fact well on occasion. The grades have flown by and now we are celebrating the momentous leaving of elementary school for middle school. In fairness I should mention this just means that she’ll go to the classroom next door to her current classroom since our school is small and preschool through high school fit in 4 classrooms total. BUT the meaning here is significant, not the literal physical move from one classroom to the next. I’m the total parenting mess—I’m sad, I’m nervous but most of all I’m proud. The thing about autism though is that it pervades literally every part of your life. Tomorrow is about Ryley and her accomplishments and growth into an amazing pre-teen but my thoughts are distracted by the fact that Caden should also be bridging from kindergarten into E1. The school was willing to move him on but we made the decision in collaboration with his teacher that it made the most sense for him to spend another year in kinder. I had hoped he wouldn’t notice that he wasn’t bridging; after all he stayed in the same classroom from preschool to kinder last year with the same teacher, same room, and same materials. Last year a few kids moved on, a few kids stayed and he didn’t really seem to mind one way or the other. This year though he is much more aware of what is going on around him and he has noticed that several of his close friends are bridging and he just doesn’t understand why he isn’t. He asked if he was bad or if he didn’t work enough—neither of course is true. I actually don’t know many children who love and work as hard at school as Caden does. My brain knows that we need to learn the alphabet and some basic reading skills before we move onto E1; that now is the time to try to catch up because things will move quickly from E1 forward. But my heart just knows that my baby boy cried and cried and cried tonight because he wants to bridge. Consequently I spent my time in the shower tonight crying and crying and crying. I cried because my baby girl is growing up so quickly. I cried because I imagined Ryley and Caden celebrating big bridges like kinder and 6th grade together. I cried because I can’t fully focus on one child’s celebration tomorrow because I have to anticipate how Elf and I will defuse the other child’s disappointment and sadness that will undoubtedly be at a level that only autism and a total sensory overload can provide. I cried over the parental guilt of not being able to completely devote my attention to either child or their emotions tomorrow. I cried about the fact that autism shows up in the least expected places and catches me off guard when I should know better. And maybe more than anything I cried a little about autism and a lot about my child’s broken heart. I tried to explain tonight that his autism makes school a little harder and he just needs a bit more time in Children’s House to which he replied he didn’t want autism anymore. Neither do I Caden, neither-do-I. Life isn’t fair. Any parent, special needs or not, can attest to this fact each and every time an injustice is done to their child; sometimes though life is even less fair than others. It is in these moments that I am left asking myself a lot of why and how questions. The 2 big questions at the moment seem to be why do we have so much difficulty finding and accessing the resources we need, and how are we ever going to help our baby succeed in the world when it feels like the world is against us? You might recall me talking about dumpster diving for resources as well as do-it-yourself home therapies in the past. In the spring, we hit the Macy’s of dumpsters and landed a spot in a 10 week occupational therapy play clinic, a 10 week spot in the college sponsored peer mentor program, and we had a referral for 16 weeks of speech therapy. Al l good things come to an end though and all of our programs are now over. I kind of have a plan for occupational therapy and the social interactions elements, but speech is another story. I don’t know that I have anything good to say about this situation. We have insurance in a state that mandates autism therapy coverage, but we also have insurance that only allows us to attend one facility. We were happily receiving therapy at that facility until our speech therapist left. When she left the wait was going to be indefinite as they didn’t have any openings with the existing therapist and were unsure how long it would take to hire a new therapist. We were able to obtain a waiver to receive 16 weeks of therapy outside of the system. When that waiver expired we were to contact the original facility to see about getting rescheduled there. I’m not sure what happened in the 16 weeks that we and several others families were out-of-network but if I had to guess I’d say that there was pressure on the speech supervisor to get us all back into the system because they were losing money by sending us elsewhere. 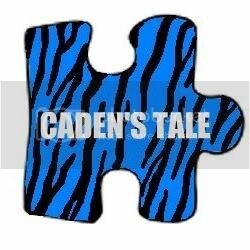 The supervisor contacted us and told us that insurance wanted a new evaluation because Caden had “too many” diagnoses. This didn’t make a lot of sense to us so we contacted our patient advocate who after some investigation let us know that insurance didn’t make such a request. Unfortunately we didn’t find this out until after I had taken Caden for the re-evaluation. Lying is problematic but we could have overlooked this if the evaluation would have been a positive experience…unfortunately it was anything but positive. The evaluation began with Janet coming into the waiting room, looking at Elf, and stating that he only had a place in speech therapy if he could talk. Interestingly Federal and State Law would disagree with her but other than snide comments she didn’t try to bar him from the session. She immediately told me that she didn’t think Caden had autism—not sure how she had made this assessment she had never met Caden before and the prior therapist hadn’t questioned the diagnosis. The assessment was ridiculous and didn’t compare to any of the dozens he has had in the past, she was condescending to him, and at one point physically grabbed his arm and forced him to sit back down. She refused to allow him to sit on the floor with Elf and frequently told me he just needed to slow down and use a regular voice. If she had ever read anything about autism or would have listened to me, she would have none that the fast pace and high pitch was due to anxiety and autism and nothing that he had control over. He was restless but he sat for almost an hour doing her flashcards to which she proceeded to inform me that we should consider medication because he couldn’t focus. He seemed pretty focused for a 5 year old who had just spent the entire day in school; interestingly his pediatrician and teachers all dismissed any attention concerns. She reiterated that she didn’t think he had autism and questioned if he should be re-evaluated again. He’s already been tested by 2 completely separate teams at different facilities and one of his other therapists, the school district, or doctors question the diagnosis. She concluded the session by telling me that she would only work on articulation and that the “other stuff” wasn’t her concern. The pediatrician and I read the final report together and in it she indicated that he didn’t have autism, any visible sensory problems, needed to learn more age appropriate behaviors than the [therapist recommended] chewy, that he wouldn’t be delayed if his parents worked with him more, and that he was simply a “highly manipulative child whose parents had pathologized his behaviors.” In case you are wondering pathologized isn’t a word. The pediatrician filed a complaint with the supervisor’s supervisor as did we. We also filed a complaint with our insurance company. At the end of the investigation insurance told us that they won’t approve us to go out –of-network but that we can see someone other than Janet. The hospital, on the other hand, told us they were sorry that we didn’t have a pleasant experience but that while we certainly welcome to see another therapist, but we needed to know that all of their cases are team managed and Janet would be involved. The only therapist who has openings at the hospital clinic isn’t seeing patients alone yet which means that Janet would be directly involved in Caden’s care. We’ve always said we wouldn’t let anyone who didn’t believe in Caden and have his best interests in mind be involved with his care. BUT we don’t have insurance coverage to take him anywhere else. So what do we do? We looked into private speech therapy but $40/hour twice a week isn’t in the budget. I wish it was or I wish we had the $1000/month premium for state disability insurance. We don’t. We have the speech apps for his Ipad and we have my research but let’s be completely honest here. We are paying a lot of money for insurance that we can’t use but I don’t know how to put my baby in the care of a therapist who was physically rough with him and who I don’t trust. At the same time I’m not trained to be providing his services and there’s a lot on the line when it comes to speech. His future is literally on the line and I feel totally helpless. Actually I feel like I have failed him. He works so hard to make progress but how successful can he be in a system like this? He has so much potential and we aren’t doing everything we can to help him live up to that potential. I’m not a bad mommy but at the moment I sure feel like one. Ironically all I want is for him to have the opportunity for a successful future but the system/world/life seems to think that I’m asking for too much. And that leaves me with a lot of how and why questions for which I simply don’t have any answers. I wanted to write a really big show stopping finale piece to end Autism Awareness month but instead I found myself with total and complete writer’s block. Or at least finale writer’s block because I had a dozen other ideas to blog about but I couldn’t write that closing piece. I’ve been thinking about it a lot the last week or so and have finally come to the realization that you can’t conclude something that isn’t stopping or that is nowhere near over. Autism Awareness, like any other awareness, can’t be over until there is a known cause or at least effective treatment and acceptance. I’m pretty sure based on personal experience we aren’t anywhere near any of those things. In the last two weeks alone I have read that autism is being linked to the age of the father at conception, the weight of the mother during pregnancy, and a random and isolated gene. I’ve also read that there might be multiple types of autism so maybe multiple causes. Long story short the answer is nope on a known cause. What about effective treatment? States are continuing to pass autism mandates that require insurance to cover scientifically proven evidence based therapies for a specified amount of time usually based upon the child’s age. Unfortunately evidence based therapies eliminates just about everything that isn’t ABA or maybe some basic speech, occupational or physical therapies. It doesn’t do anything for equipment like weighted blankets, compression vests, special beds, home safety systems, sensory swings, biomedical interventions, horse therapy, service dogs, or diet; all things that some people have claimed helped their child. Interesting that we are randomly picking which therapies to cover given that we are talking about the possibility of multiple causes or forms of autism which should translate into multiple therapies but given that we can’t get speech therapy covered at the moment I can’t even begin to argue that we have made tremendous gains in this arena either. Oh that’s an autism service dog? That is such a waste of money and a beautiful dog since kids with autism aren’t really in there. Obviously he’s just manipulative and needs firmer discipline. Some parenting classes might help too. The entire alphabet? Really you want the goal to be for him to learn the entirealphabet? Seriously you are old enough to answer me when I talk and get that thing out of your mouth. Don’t you know better? He doesn’t need numbed for this procedure; kids with autism don’t feel pain. Don’t worry about him; I saw that Temple movie and he’ll probably end up an academic nerd. You think he has autism? Wow I don’t think so because those are the coldest people ever and I’ve seen him smile. I could refute each one of these but that doesn’t change the fact that someone or someones believed the statements enough to say them to a total stranger. Some of these were really well educated individuals either in the school system or the medical system as well as just random on the street kind of people. In fairness I have to say that we also know a lot of really supportive people who want to give children with autism and other disabilities every chance at success possible. This is evidenced by the fact that a lot of total strangers came together to help us raise $13,000 for 4 Paws For Ability so that we could get Elf, the fact that strangers spend their lives training service dogs for children whose futures are unknown, by teachers who stay up at night trying to figure out another way to help Caden understand a concept or skill that he is struggling with, by therapists who are helping us design our do-it-yourself therapies because they understand our financial and insurance woes, by communities who build Miracle League Baseball fields so that our kids can just be kids every once in a while, and by the total and complete strangers who smile instead condemning when we are struggling in public. We are winning battles every day but we are far away from winning the war. Maybe that’s why I couldn’t come up with a good finale for last month. I had some awesome opportunities to talk with community groups and children about autism and maybe somewhere along the way those efforts made a difference. But I do have to work harder to make sure the public knows that every day is an autism day for us and the other 1 in 88 children’s families who are affected by this disorder. While you may know that a new diagnosis is made every 20 minutes, it is equally important to know that someone struggles or their family struggles every second of every minute of every hour of every day with this disorder and its complexities. I don’t have a great end to the month so instead I will share a picture of a birthday present I recently received because maybe it summarizes autism better than I will ever be able to.